A number of successful Boutir sellers agreed that placing advertisements on Facebook can greatly increase sales and help them gain sustaining profits. Adobe’s Social Media Intelligence Report pointed out that Facebook has achieved a double-digit increase in both click through rate (20%) and ad impressions (41%), quarter over quarter. Sadly, out of the 25 million small businesses active on Facebook, only 4% are running Facebook Ads. How to make attractive Facebook Ads? 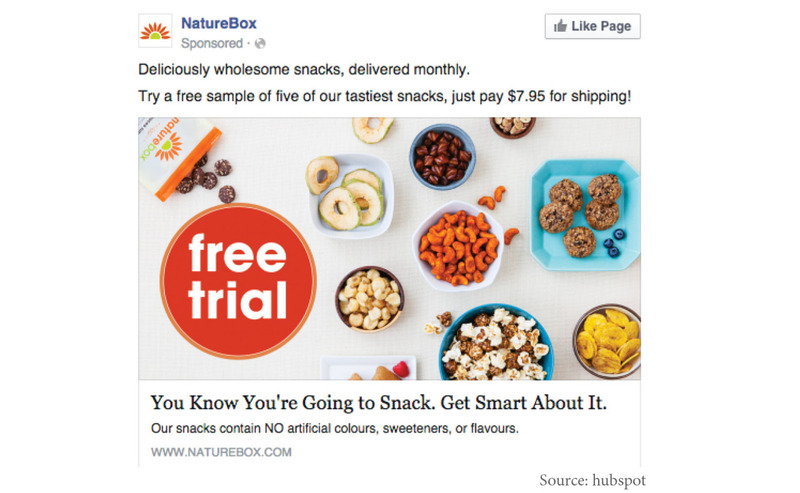 There are four salient elements that you need to include in your Facebook ads. Visual content is treated more favorable in the Facebook algorithm. What’s more, visual content attracts more “Likes” and is more engaging in the ever-changing News Feed, and therefore is more likely to catch your customers’ eye. No matter what type of ad you create, your image needs to be visually appealing and attention grabbing. Every time you are creating a new campaign, take time to test the ads in different designs and find out the most suitable type for your target customers. Relevance is critical for success when using Facebook advertising. Remember, you are spending money when someone views or clicks on your ad. You can adjust the settings, such as age groups, genders, geographic locations, interests and so on, to reach your target customers. Facebook recently launched a new feature on the Facebook advertising platform that rates your ads and gives you a relevance score, similar to Ad Rank in Google AdWords. The more relevant your ad image, ad copy, and destination page is to your audience, the higher your score is, and the more favorably Facebook will treat your ads. A value proposition tells the readers why they should click on your ad to learn more about your product. How is your product or service different from any others? Why should the viewers click on your ad to see your website? Your value proposition should be believable. Saying you have the greatest coffee in the world will not make people come to your business’s page, but maybe offering 20% off will. A beautiful and relevant ad is great, but without a call-to-action (CTA), your viewers might not know what to do next. 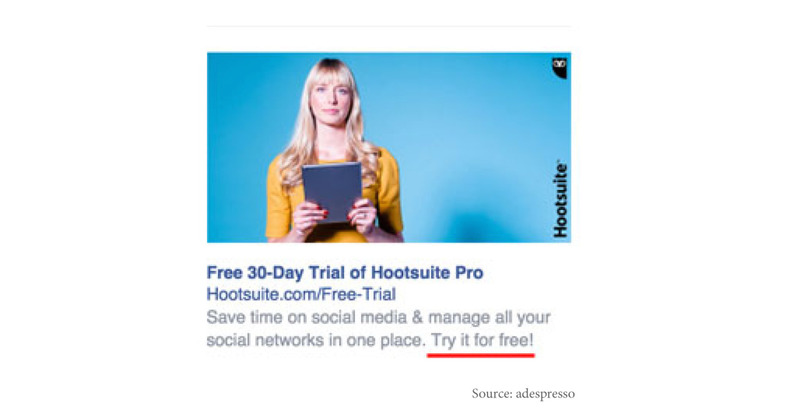 Your CTA should encourage people to click on your ad now. Include “Click here”, “Book Now” or “Buy now and save X%,”, “Offer ends soon” to add a sense of urgency to your viewers.